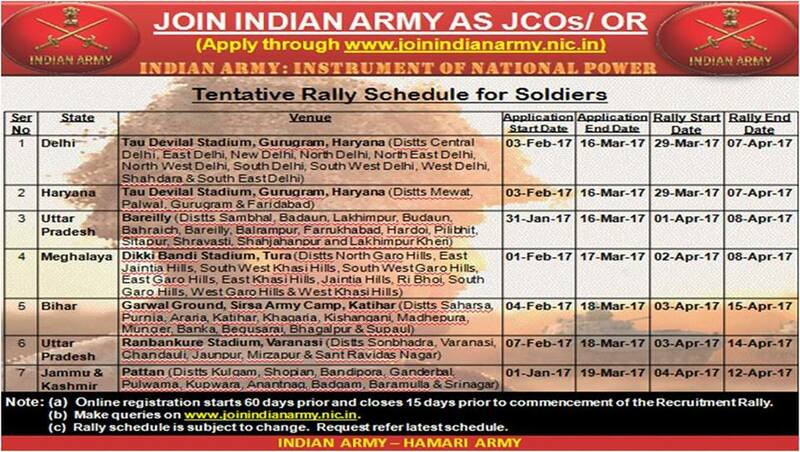 Army rally online registration is now started for Uttatr Pradesh districts. Rally will be orgnizrd at Kanpur cantt in April 2017. Candidates from given districts can apply online. Online registration is already started from 16 February 2017 and will be close on 01 April 2017. Candidates who are not aware about online registration, must apply before 15 days of rally. No candidates will allow without online registration. Place of Rally bharti :- Kanpur Cantt. 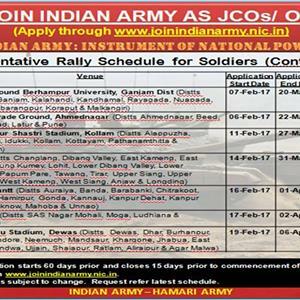 How to apply online :- Candidates who wish to apply in Indian Army, they need to submit documents online. 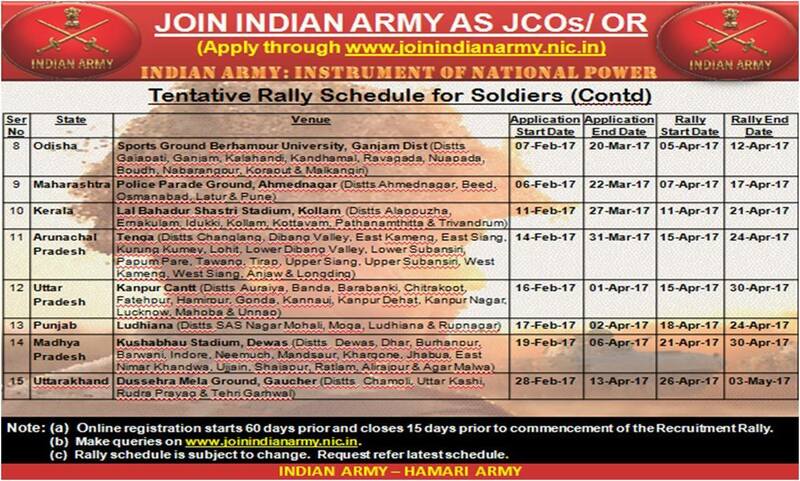 The online registration done only by official Indian army website www.joinindianarmy.nic.in. Before applying online user must have collect all documents and recently passport sized photographs. When you are applying online, you must have valid e-mail address and mobile number because OTP will be sent on your phone number or E-mail address. Select category that you want to apply and proceed to next step. we have also discussed how to apply online step by step in previous post. You can check here. Type of category :- The rally recruitment will be considered for following posts Sol GD/Sol Clk/SKT/Tech/Tradesman/and other posts.